These numbers were last updated on December 16, 2015. See the current status for individual packages. Executables built for 32 bit Windows can be executed on 64 bit Windows as well. If you want a 32 bit Windows executable, split into an executable and dependant dlls use MXE_TARGETS i686-w64-mingw32.shared. Remark: The 'w64-mingw32' in those names are left-overs from historical evolutions in the open source cross-compilation world and refer in no way to the result being 64 or 32 bit Windows. OpenMP (libgomp) and pthreads (winpthreads) are always available. Experimental support for GCC with posix threads was added in November 2015. Since January 2019 it is used by default. Experimental support for alternate GCC Exception Handling was added in February 2017. First, you should ensure that your system meets MXE's requirements. You will almost certainly have to install some stuff. If you don't mind installing it in your home directory, just skip the following step and go straight to step 3. MXE builds and installs everything under the same top-level directory and is not relocatable after the first packages are built. Due to limitations of GNU Make, the path of MXE is not allowed to contain any whitespace characters. Then you need to transfer the entire directory to its definitive location. We will assume again you use /opt/mxe, but feel free to use any other directory if you like. Enter the directory where you've downloaded MXE. Now it depends on what you actually want – or need. you're in for a long wait, because it compiles a lot of packages. On the other hand it doesn't require any intervention, so you're free to do whatever you like – like watch a movie or go for a night on the town. 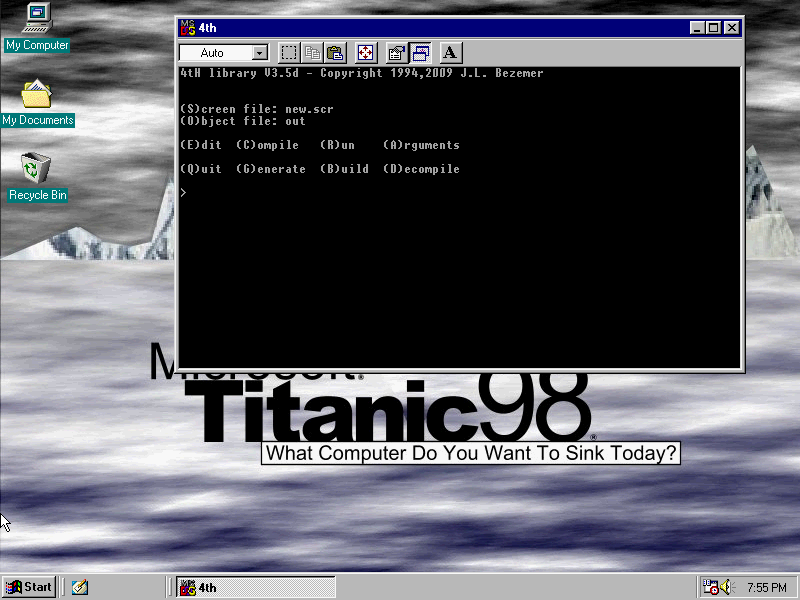 When it's done you'll find that you've installed a very capable Win32 cross compiler onto your system. or by adjusting the MXE_TARGETS variable in settings.mk. You'll always end up with a consistent cross compiling environment. If you have trouble here, please feel free to contact the mxe team through the issue tracker or mailing list. After you're done it just needs a little post-installation. Instead of building MXE packages from source, you can download precompiled packages. There are two options: tar archives and Debian packages. See pkg.mxe.cc. You may be tempted to also add $(TARGET)/bin to your path. You never want to do this, the executables and scripts in there will cause conflicts with your native toolchain. export PKG_CONFIG_PATH="entries for native builds"
export PKG_CONFIG_PATH_i686_w64_mingw32_static="entries for MXE builds"
Remember to use i686-w64-mingw32.static-pkg-config instead of pkg-config for cross builds. The Autotools do that automatically for you. Note that any other compiler related environment variables (like $CC, $LDFLAGS, etc.) may spoil your compiling pleasure, so be sure to delete or disable those. Congratulations! You're ready to cross compile anything you like. This will automatically use the MXE version of cmake and locate the toolchain file. Note that Qt 4 is in the "qt" subdirectory. Qt 5 is in the "qt5" subdirectory and its qmake can be invoked similarly. If you are using Qt plugins such as the svg or ico image handlers, you should also have a look at the Qt documentation about static plugins. Note the sql drivers (-qt-sql-*) and the image handlers for jpeg, tiff, gif and mng are built-in, not plugins. You may have to add a few others, depending on your project. The i686-w64-mingw32.static-pkg-config command from MXE will automatically add -DOSG_LIBRARY_STATIC to your compiler flags. If you need further assistance, feel free to join the mailing list where you'll get in touch with the MXE developers and other users. You can also browse the web repository. In addition, feel free to join the mailing list and to propose new packages. MXE requires a recent Unix system where all components as stated in the table below are installed. It also needs roughly 2 GiB of RAM to link gcc and at least 700 MB of disk space per target (counted with only gcc built). are not required, however there are potential issues with 32-bit systems. Only the latest Debian stable series is supported. You can install a precompiled MXE via Debian packages. See pkg.mxe.cc. On 64-bit Fedora, there are issues without a 32-bit compiler. Install file(1) from ports, because file(1) from base works very-very-very slow with long text files. Do not build as root. See #902. On 64-bit FreeBSD, there are issues without a 32-bit compiler. On 64-bit Frugalware, there are issues without a 32-bit compiler. You will see messages about keg-only formulae and tools prefixed with 'g' - you can safely ignore these and no homebrew related $PATH modifications or brew links are necessary. You may be prompted to install a java runtime - this is not required. Mac OS X versions ≤ 10.9 are no longer tested. Requirements should match the Debian, Fedora, openSUSE etc. sections above, but care should be taken to ensure MXE is installed in the Linux subsystem under / instead of the mounted Windows folders in /mnt. 32-bit systems may have insufficient virtual memory to build all of MXE. Certain packages contain native tools that are currently 32-bit only. In order to build these on a 64-bit system, multi-lib support must be enabled in the compiler toolchain. However, not all operating systems support this. All build commands also download the packages if necessary. In a BSD userland, substitute "make" with "gmake" as all commands are based on GNU Make. remove all package builds – use with caution! See something missing? Feel free to create a new package. The package should be a free software library that is really used by one of your applications. Please also review our legal notes. BTW, we're always curious about the applications people are porting. We maintain a list of projects which use MXE. No matter whether your project is free or proprietary – as long as it has its own website, we'd be happy to link to it. For instance, when adding a GNU library, you should take a package like gettext.mk or libiconv.mk as the base of your work. When using a SourceForge project, you could start with a copy of xmlwrapp.mk. And so on. GitHub hosted projects can automatically configure updates, urls, file names etc. by setting $(PKG)_GH_CONF instead of $(PKG)_FILE, $(PKG)_SUBDIR, $(PKG)_URL, and $(PKG)_UPDATE sections. Releases may require setting _FILE, _SUBDIR, _URL, depending on the naming convention used by the project for tarballs. The GNU Make Standard Library is also available (though it should be unnecessary for most packages). Alternatively you can use tool tools/skeleton.py to create a skeleton of new MXE package. It fills most of the fields of .mk file automatically and supports typical build scenarios through option --builder. It also adds a package to the list of packages (see below). Adjust the comments, fill in the $(PKG)_* fields. if you have already downloaded the package. Be especially careful with the $(PKG)_DEPS section. The easiest way to get the dependencies right is to start with a minimal setup. That is, initialize MXE with make cc only, then check whether your package builds successfully. Specify official name and website of a package. If the official name coincides with the package name, you can omit $(PKG)_DESCR. Always look for the SSL version of URLs, that is, prefer https:// URLs over http:// URLs. Write your $(PKG)_BUILD. If your library has a ./configure script, enable/disable all dependency libraries explicitly via "--enable-*" and "--disable-*" options. do not download anything while building, as all files downloaded should be verified by checksums. Instead create a package which installs the needed file. This policy is forced on Linux by LD_PRELOAD trick, breaking network functions. $(SOURCE_DIR) is a directory with package source and $(BUILD_DIR) is an empty directory intended for build files. Both directories are temporary. Prefer out-of-tree builds. Autotools and CMake support them. $(PREFIX) is path to usr/ directory. $(TOP_DIR) is path to MXE root directory. $(TARGET) is target triplet (e.g., i686-w64-mingw32.static). $(BUILD) is build triplet (e.g., x86_64-unknown-linux-gnu). $(MXE_DISABLE_CRUFT) disables installation of documentation and programs. $(BUILD_SHARED) is TRUE for shared targets. Useful to add flags applicable only to shared targets. Similarly, $(BUILD_STATIC) is TRUE for static targets; $(BUILD_NATIVE) is TRUE for native targets; $(BUILD_CROSS) is TRUE for cross targets. This file is part of MXE. See LICENSE.md for licensing information. where the URL points to the bugtracker entry, mailing list entry or website you took the patch from. If you created the patch yourself, please offer it to the upstream project first, and point to that URL, using the same wording: "This patch has been taken from:". Depending on the feedback you get from the upstream project, you might want to improve your patch. depending on whether it is a C or C++ library. To get a clue, please have a look at existing test programs such as sdl-test.c. At the very end of your *.mk file you should build the test program in a generic way, using strict compiler flags. The last few lines of sdl.mk will give you a clue. We'll fill that in for you. It's a funny exercise. to remove these. Have a look at random *.mk files to get a feeling for the coding style. The same holds for your test program. However, patch files should always appear in the same coding style as the files they are patching. When patching sources with crlf line endings, the patch file itself should also have the same eol style. Use the convention of naming the file as *crlf.patch to instruct git not to normalise the line endings (defined in .gitattributes). Check whether everything runs fine. If you have some trouble, don't hesitate to ask on the mailing list, providing your *.mk file so far. Issue a pull request to propose your final *.mk file to us. If you have trouble with pull requests, send your file to the mailing list instead. Either way, don't forget to tell us if there are some pieces in your *.mk file you feel unsure about. We'll then have a specific look at those parts, which avoids trouble for you and us in the future. Modern legal systems are like any other large, complex, and evolving body of code you're likely to encounter. They have their own language with quirky parsers, compilers, and interpreters (though these tend to be human). Their issue trackers are a backlog of court cases. They have bugs. They have traps for the uninitiated that may potentially do more than waste your time. FTF (Freedom Task Force of the FSFE (Free Software Foundation Europe)). They have been very helpful in the past, and maintain an extensive network of legal contacts, both within and outside Europe. Your local jurisdiction may be a signatory to various international agreements, so be sure to mention where you are in any correspondence (much like any detailed bug report really). Additionally, you should also do some background reading from the FSF (Free Software Foundation) and Wikipedia to familiarise yourself with some of the potential issues (and experience some context-switching overhead). Ownership of all contributions (bug fixes, new packages, doc updates, etc.) remain with the author. All we require is a real name (no l33t handles, please), and that you release your work under our licence. If you prefer not to be credited with a contribution, please notify the committer. Each package is individually licensed under terms specified by the authors of that package. Please see the respective source tarball and/or project website for details. Packages that are non-free or ambiguous will be removed or rejected. Please contact the mailing list if you notice a package that doesn't meet these guidlines. In addition to the usual considerations (copyrights, patents, trademarks, export regulations etc. ), building statically linked libraries for Windows exposes some edge cases that you may not have encountered before. According to freedom 0 and our own licence, you can use mxe in countless different environments, each with it's own special legal considerations. The configuration options of certain packages (e.g ffmpeg) allow the use of non-free software and/or combinations that cause license violations. Note that this does not prevent downstream violations, or affect any further obligations a licence may impose on you. Review the Differences from the GPL section of the Wikipedia article mentioned above. See conflicting accounts from the FSF and the OpenSSL project. Since August 2015, there is an ongoing effort to re-license to Apache v2. The FDK license has a "no charging fees" clause that likely violates the GPL. The stable branch was retired as it did more harm than good. Everybody is using the master branch, because it is always recent and well enough tested. For historical reference, the last commit to the stable branch was 0c6cc9c, which was fully merged into master as usual. Added support for shared toolchains for over 50% of all the packages. Unfortunately, a number of factors have forced us to drop support for MinGW 3 (i.e. "MinGW.org"), in favor of the MinGW-w64 toolchain. This decision was made in a large part because of the dropping of support for MinGW by GLib and Qt5, which arguably are two of the most important packages in MXE. Other considerations have also been taken, like the lack of maintainership in MinGW and potential legal challenges that comes with using supplemental DirectX headers in MinGW in order to support Qt4. Worse yet, having to support the unsupported MinGW toolchain impedes adding or updating packages, as shown in the pull request of updating GLib. Please note that dropping support for MinGW DOES NOT MEAN dropping support for the 32-bit architecture. MinGW-w64 also supports 32-bit target through i686-w64-mingw32. To ease migration to the supported MinGW-w64 target, we have finished porting all packages that were MinGW-only to at least i686-w64-mingw32 (32-bit target of MinGW-w64). Hence your existing commands should work out-of-the-box assuming the MXE_TARGETS environment variable is set correctly. The stable branch was updated to the current development version after a thorough testing phase. Most packages were updated to their latest version. Added support for mingw-w64 based toolchains targeting 32 & 64-bit architectures. With the addition of Qt5, there is no longer a prefixed version of qmake, see the Qt section of the tutorial for the new way to invoke qmake. FreeBSD is no longer fully supported. Qt5, ocaml*, and 8 other packages are excluded from the build. Any change of a build script goes into "master". Any package upgrade goes into "master". Any documentation upgrade that refers to a feature not present in stable goes into "master". Anything else that doesn't affect the build goes into "stable". Any non-critical improvement to the main Makefile goes into "stable". Any improvement in the package download URLs or package version recognition goes into "stable". When in doubt, "master" is used rather than "stable". Every change to the "stable" branch will be merged into "master". After a successful testing phase, the "stable" branch will be fast-forwarded to "master". The project has been renamed from mingw-cross-env (MinGW cross compiling environment) to MXE (M cross environment). New packages are supported: agg, cgal, eigen, file, gta, json-c, libgnurx, libharu, libircclient, libssh2, libxml++, llvm, lzo, mpfr, nettle, opencsg, qjson, qwtplot3d, vtk, and wt. Minor bugfixes in several packages. Almost all packages are updated to their latest version. Packages gtkmm and gtksourceviewmm have been renamed to gtkmm2 and gtksourceviewmm2. New packages are supported: libass, poco, and t4k_common. This release fixes a download error caused by the pixman project (a sudden change of their URL scheme without proper redirects). That sort of thing should never happen! The download mechanisms are improved. A CMake toolchain file is provided to simplify cross-compiling projects which use CMake. Support for Debian/Lenny is dropped. Package gtk is renamed to gtk2. New packages are supported: dbus, graphicsmagick, libical, liboauth, physfs, and vigra. Note for boost::filesystem users: Version 3 is a major revision and now the default in 1.46. This release fixes a checksum error caused by the atkmm project (a sudden change of their current source tarball). That sort of thing should never happen! This release provides some improvements of the build system such as an automatic check for most of the requirements. All packages are updated to their latest version. New packages are supported: bfd, blas, cblas, dcmtk, ftgl, lapack, lcms1, mingw-utils, mxml, suitesparse and tinyxml. This release provides lots of improvements to the build system as well as the documentation. Support for OpenSolaris is dropped. Many new packages are supported: atkmm, cairomm, cunit, faac, faad2, ffmpeg, gdk-pixbuf, glibmm, gtkglextmm, gtkmm, gtksourceview, gtksourceviewmm, imagemagick, lame, libiberty, libsigc++, libvpx, matio, openal, opencore-amr, pangomm, pfstools, plotmm, sdl_sound and x264. This release fixes download errors caused by the Qt project (a sudden change of their current source tarball). This release fixes download errors caused by the MinGW project (a sudden change of their URL scheme without proper redirects). That sort of thing should never happen! New packages are supported: libarchive, libgee and xvidcore. This release switches back from TDM to the official GCC, thus supporting the current GCC 4.5. The set of DirectX headers is improved and more complete. The deadlock issues with Pthreads-w32 are fixed. A static build of GDB is provided, i.e. a standalone "gdb.exe" that doesn't require any extra DLLs. More packages are backed by test programs. Many "sed hacks" are replaced by proper portability patches. Many new packages are supported: fribidi, gc, gdb, gmp, gsl, gst-plugins-base, gst-plugins-good, gstreamer, gtkglext, guile, libcroco, libffi, liboil, libpaper, libshout, libunistring and xine-lib. This release fixes some minor build issues, and contains a first small set of test programs to check the package builds. The build rules are simplified by calling generators like Autotools and Flex, instead of patching the generated files. Many new packages are supported: aubio, devil, directx, exiv2, fftw, freeimage, gsoap, id3lib, liblo, libpano13, librsvg, libsamplerate, muparser, openscenegraph, portaudio and sdl_pango. This release contains a packaging bug. Please use release 2.12 instead. This release adds support for many new packages: flac, libmad, libsndfile, sdl_net, speex, postgresql, freetds, openssl, plotutils, taglib, lcms, freeglut, xerces and zziplib. In addition to the libraries some command line tools such as psql.exe are built, too. The placements of logfiles, as well as many other build details, have been improved. This release adds support for Qt, VMime and libmng. The target triplet is updated to i686-pc-mingw32. OpenMP support is enabled in GCC. This release comes with a better look & feel by providing a highlevel overview of the build process. The detailed build messages are stored into separate log files for each package, so parallel builds don't intermix them anymore. The download URLs of SourceForge packages are adjusted to ensure that the selected SourceForge mirror is really used and not circumvalented via HTTP redirects to other mirrors. The whole mingw-cross-env project has moved to Savannah. So all URIs have changed, but the old URIs redirect to the new locations seamlessly. Everyone is invited to join the freshly created project mailing list. This release provides an improved version recognition for SourceForge packages. SourceForge changed their page layout in a way that makes it much harder to identify the current version of a package. Additionally, almost all packages are updated to their latest version. This release contains some portability fixes which allow it to run on a wider range of systems such as Frugalware. The documentation and website are completely revised. New packages such as CppUnit, libUsb, NSIS, Popt, SQLite and Theora are supported. A new command "make download" is implemented. This release fixes a download error caused by the MinGW project. They suddenly changed the names of their source tarballs. That sort of thing should never happen! This release also contains some bugfixes which allow it to run on a wider range of systems. All downloaded files are now verified by their SHA-1 checksums. New versions of various packages are supported. This release provides many new libraries such as wxWidgets, GTK+ and OpenEXR. In addition, new versions of various packages are supported. This release fixes some serious build problems on FreeBSD and MacOS-X. The Makefile has a new target "clean-pkg" and allows to be called from a separate build directory via "make -f .../Makefile". Some new versions of the packages are supported, especially GCC-4.3 by switching from MinGW GCC to TDM-GCC. This release fixes some minor build problems. It also supports some new packages and some newer versions of the already supported packages. Parallelization is now disabled by default. This release fixes a download error caused by the GDAL project. They suddenly changed their download URLs. That sort of thing should never happen! In addition, some newer versions of various packages are supported. There is also a small compatibility fix for OS X. The shell script has been rewritten as Makefile and supports partial builds and parallel builds. As usual, this release also supports some new packages and some newer versions of the already supported packages. This release now includes a tutorial by Hans Bezemer and has improved compile options of FLTK. As usual, it supports some newer versions of the libraries. At the request of its author, libowfat is no longer supported from this release on. The script now uses a specific SourceForge mirror instead of randomly chosen ones, because the download phase often stumbled on some very slow mirrors. A sudden change in the download URLs of GEOS made the automatic download fail. Such changes should never happen! But it happened, and this quick release is an attempt to limit the damage. This release also supports some newer versions of the libraries including support for fontconfig-2.5.0. This release is a switch from gcc-3 to gcc-4. It also supports a new library and some newer versions of the already supported libraries. This release is the result of the public attention the release 1.0 got. It contains many improvements suggested by its first users, and adds support for many new libraries. Thanks to Rocco Rutte who contributed many code snippets. This first release has been created in a 7-day-sprint.